taught me on multiple levels! to check them out at your local library or buy them. and not living your best life! because I love a good deal as much as reading. because much of their stock is used. in stock, is verifying if other stores in the region have it. giant chain store like Barnes & Noble. so you can get their awesome coupons! with terrific money saving coupons! Unlike many sites, they do not send excessive emails! without the added deficit of chronic pain and pain Rx's. his Tyndale Life Application Study Bible. to anyone seeking God, healing, strength and understanding. these Bibles can cost $50-$100. and with my coupon, got it for only $13! ﻿I finally read the Bible in 2015 successfully for the first time ever thanks to my Tyndale Life App Bible. I was so inspired that I wrote a Bible-based life coach book to inspire others to read it too! 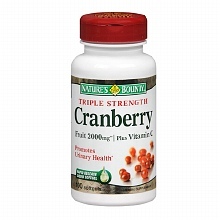 It was instrumental in helping me to realize that if I took a Cranberry Fruit supplement daily, along with a magnesium pill, I would no longer suffer the excruciating pain of kidney stones and/or kidney infections every couple of years, as had been my status! This combination is so beneficial that when I started it around April 2004, it actually reversed oncoming symptoms of stones that I'd begun to get and I've NEVER had a stones attack or kidney infection since! I haven't found any difference in how I feel regardless of which mg bottle I buy; all that matters is that I take one of these, daily, without fail. This next book is simply the best I've found for herbs. 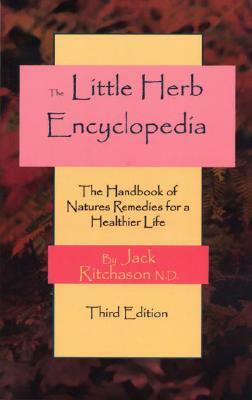 "The Little Herb Encyclopedia" by Natural Doctor (ND) Jack Ritchason. 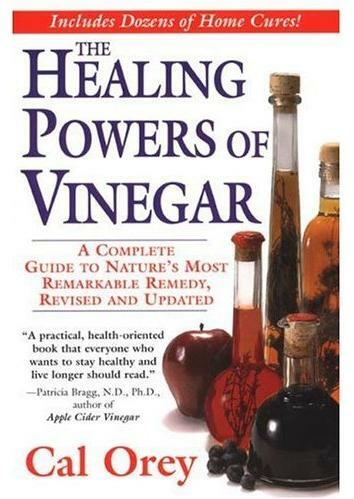 Ever since I was little, I have loved to drink vinegar. My family would laugh at me and call me a weirdo. I didn't care, I actually craved its tart flavor and would pour it over ice, add water and even at times, salt. I'd also take a green pepper, cut off the top, core it, rinse the seeds out and pour vinegar, salt and water in it and use it as an edible cup! I'd take a bite of the pepper and drink the vinegar mix. I just never knew that someday, drinking it, would be a better cure for my reflux than pills such as Zantac. Which, I have read that it can have the highly undesirable side effect of thinning your hair. EVERYONE on prescription pain pills and the myriad of other Rx's that often go with chronic pain, should detox their brains and bodies of all of the horrible toxic residue that every single one of these pills leaves. Click my link above to learn more! Although Ricardo Azziz, MD, director of the Center for Androgen-Related Disorders at the Cedars Sinai Medical Center in Los Angeles on WebMD.com gives a variety of different causes for hair loss in women, he acknowledges that some medications can cause female hair loss as a side effect. The American Hair Loss Association specifically lists drugs for ulcers, stomach disorders and indigestion, such as Zantac, can cause hair loss in both men and women. De Becker is a worldwide renowned expert on personal safety, risk and threat assessment. I read his book back in 2007; I found the first 50 pages boring, but I stuck it out and was so glad that I did! This book teaches INVALUABLE information about the critical importance of listening to your God-given* gut instincts, the downside of being nice/afraid of hurting someone's feelings and much, much more. *God gives us instincts for our protection and self-preservation but they only work, if we listen to them! "The Psychology of Winning - Ten Qualities of a Total Winner"
This easy to read book is a MUST READ book for anyone not living their best life and unsure of how to get going or for those who are normally self-motivated but need a boost to refresh themselves! As you will read, Dr. Waitley was clearly ahead of his time in his observations and advice. If you read "The Secret" you will see that he was ahead of his time on being the one to advise visualizing success to bring success. I read the first half the day I bought it, it's that good!